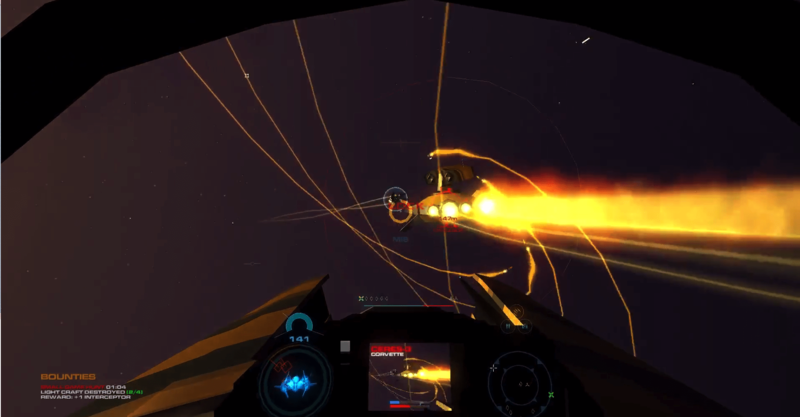 If you listen to the podcast at all, you know that my most anticipated game right now is Enemy Starfighter. We had the developer, Mike Tipul, on the podcast a while back, and since then he’s been hammering away at the game and working to make it even better than it was when we last played it around that time. Now with a new press copy, it’s time to show you some of the awesome, awesome gameplay found in this fantastic looking title, and heck, this is still a very early version. Join me as I muck about it what looks to be a truly phenomenal game. :) Also note, the video is in two parts because the game crashed on me early on. Early access and all that. ;) Enjoy! So, when do I get to buy this? “Not soon enough” would be my answer. Did you realise you lost all your capital ships on that last mission? Also, you probably already know this, but I think the bounties (or at least, most that I saw once I started paying attention) are not for clearing a node, but rather for killing individual enemies. Those enemies have icons above them, letting you know to shoot them for prizes, like space-pinatas. That’s aside from the ongoing Small Game bounty, for shooting… it says light targets, but as far as I could see even corvettes where too heavy for it, only fighters counted. Also, any ETA on this? I only learned about it a couple of weeks ago, and I’m already pumped for it – maybe even more than Elite: Dangerous! “Did you realise you lost all your capital ships on that last mission?” I did not, as I was a tad busy. Not surprised though, it got very hectic there. Might I ask how you learned about the icons? As for an ETA, my guess is “when it’s done” since I’ve heard nothing specific. And yeah, I’m tooooootally pumped for this. Well, I really am not trying to sound smarmy here, and I am very sorry if I end up coming across like that, but since I wasn’t fighting for my life and the lives of those under my command, I was free to look at stuff other than the immediate combat. Still took me a few encounters for stuff I had noticed subconsciously to stack up. That final engagement, when you were trying for the extra battleship? You can see it fairly clearly there – of the two enemy capships you jumped in on, one had a flashing X above them – that was your target. On your radar they’re the standard icon, but they glow brighter. Also, just above the red’n’blue line above your target screen that shows how the battle is going overall, there are icons for every member of your fleet and the opposing forces you’re currently engaged with. The icons for capships even flash when they’re under fire. Or when they’re critically damaged, not sure – only noticed towards the end of the video. Dunno how long it would have taken me to realise it all while playing, but some of that I picked up …relatively quickly, other stuff, like I said, near the end of the video(s). Nice clean simple UI, but so much is going on it doesn’t look like you had the headspace to notice stuff like that.